Hello, I just bought my first Jeep Wrangler. It's a TJ, manual transmission, 4-cylinder. I plan to use it as grocery-getter in Austin, Texas where I live, and moderate off-roading in Colorado during the summer. By "moderate" I mean forest roads, access roads to trails where they recommend 4x4 only, Mosquito Pass, that kind of thing. My goal for the next three months is to get it road-worthy and trail-worthy for the trip to Colorado in July. It would be nice if I could should my vehicle to a Wrangler expert in Austin so that he can tell me which bits should be repaired/replaced. Any suggestions? Thanks in advance. 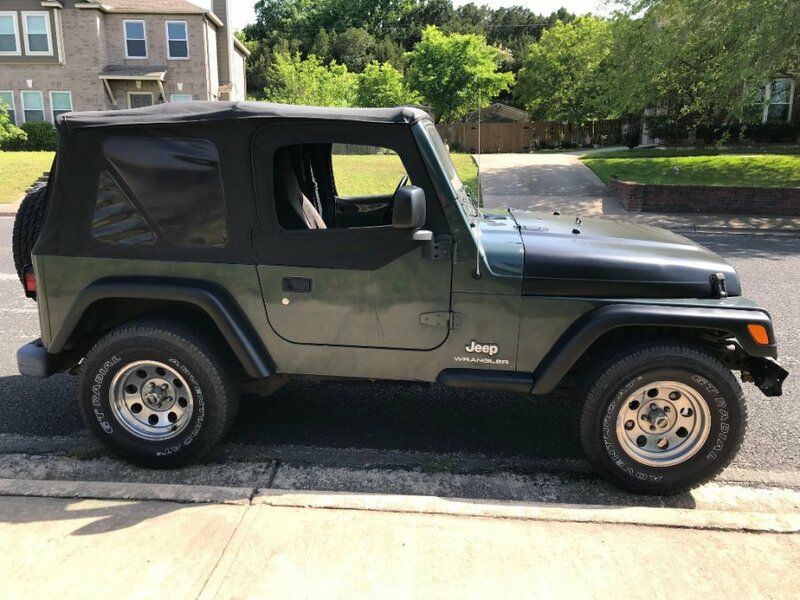 Lovely looking clean Wrangler, congratulations and enjoy! Looking forward to seeing the pics with the first mods.